I'm still playing around with this updated editor thingy, moving my pictures around kind of breaks things up and keeps some interest going(maybe). Our Creative Corner wants us to try out a new technique this week, that's cool, an old dog can still learn new tricks. I have admired cards with brayering on them for a long time. I had actually started out in my mind to try a resist technique, but forgot to put the resist on first. I brayered a piece of glossy paper with the Ranger Happy Birthday Big and Juicy ink pad, when I finished, cleaned off my hands and brayer, because for some reason I had the ink up to my wrists. Oh, goody, that qualifies for Doing the Mess Around challenge at Saturday Spotlight . Back to my train of thought--that's where the old dog comes in--the paper kind of had a misty evening feeling to me, I thought of this set of stamps and Wah Lah there is an article in the March Scrap and Stamp Arts magazine about Mirror Stamped Cards, new technique for me. I'm going to take a little liberty here and say my friend Liz, because she was one of my first followers and comes to visit pretty often with lots of nice comments. She's on the design team at Incy Wincy Designs Challenge Blog. She stopped by this morning and put me on to a blog hop they are having with some new release digis and if you do the hop you have a chance to win a couple of the new releases. That being said I'm adding them to my side bar and entering this card in their challenge for this week-Touchy Feely! !-that would be the distressing around the edges and my little bit of bling dots, they are always tactile. Incy Wincy Designs Challenge Blog Challenge 31-Touchy Feely !! 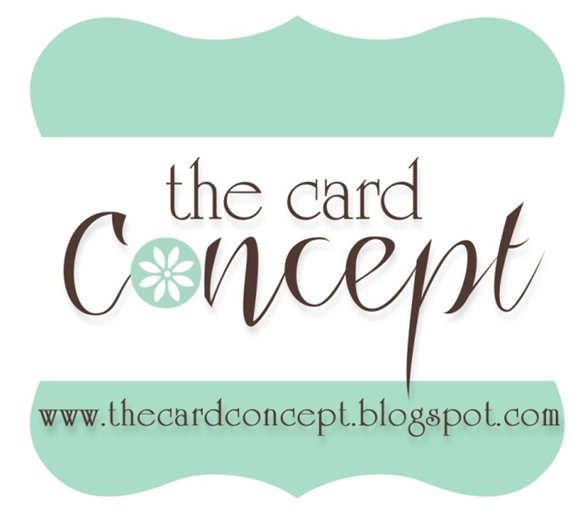 Supplies: Ivory Card Blank 5" X 6 1/2" Halcraft, Papers: Glossy paper, Stampin Up-Choc. Chip, Very Vanilla, Old Olive, Stamps: Stampin Up-Lovely as a Tree, Fiskars-Cameo Ovations, Ink: Ranger Big and Juicy-Happy Birthday, CTMH-Z2111 Chocolate, Spica Glitter Pen-gold, Spellbinders Shapeabilities-Doodles Parts, gold dot stickers, ribbon-Offray, Michael's, Ranger Distress Tool, pop dots. Bev this is gorgeous brayering - love your story behind it and you did a great job with the mirroring technique. Thanks so much for supporting Just Us Girls by participating in our challenges. We appreciate your playing along with us. 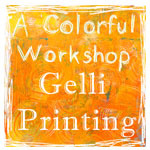 Beautiful job on this - love your brayer work! Thanks so much for playing this week with the 411! This is a lovely scene, what a great background. Nice use of our colors this week for JUGS. Thanks so much for playing along with us. Pretty background on your card! 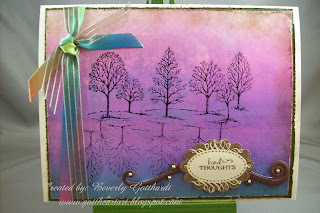 Thanks for playing along with the Stamping 411 sketch challenge this week! So pretty done with one of our classics. Great job! Very pretty card! What a cool new technique to try - thanks for the inspiration! 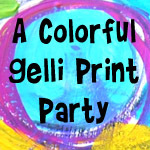 Thanks for playing along with Just Us Girls color challenge - hope to see you Saturday! Fabulous project hun - bet you got lovely and messy! Thanks for sharing at Tuesday Taggers this week, hope to see you next time too. very nice! great job on distressing. 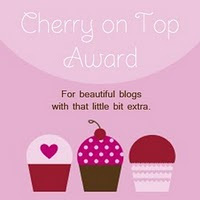 Found my way to your blog by your entry on Our Creative Corner. I think your card is lovely! Love the colours you used. Fab Card Beverly, great stamping, great colours and perfect ribbon embelly. Thanks for getting messy with TT this week. Stunning color choices. Your brayer work is fabulous!! What a great card and love the technique!! Thanks for playing along with us over at the Stamping 411 Blog this week!! So darn pretty! I love the swirls coming off your sentiment. Great job! Gorgeous backdrop for these silhouette trees! Thanks for playing in this week's Spotlight challenge!! How gorgeous! Love the colours and your trees. Thank you for joining us this week at Paper Sundaes - hope to see you again next week! Fabulous card great colours and effects, brayering is a fun way to get messy! Thank you for getting messy with us at TT this week. Great card, love the colours, Thankss for joining TT this week. Such a pretty card. Love the colors. Thanks for playing at TT this week.